It’s natural for you to feel a degree of excitement as one year comes to a close, and you stand in anticipation of a new calendar cycle. Two words really come to mind: change and possibility. You think about what you want to be different in the upcoming year and all the opportunities that wait just over the horizon. 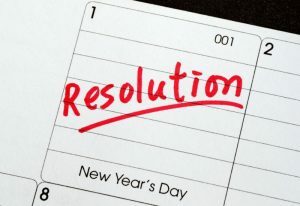 Your dentist in Las Cruces reminds you, though, of a very simple goal that you should set for the year – one that will represent change and will deliver definite results. He says that when you decide to make excellent dental wellness and preventive dentistry priorities, you won’t have to just hope for results, because you will be actively working to manifest them. Learn more about how excellent oral health is one of the greatest gifts to give yourself. Your oral health holds great significance for not just your mouth, teeth and gums, but your whole body. Every part of you is connected by a super highway of nerves and veins that transmit messages and vital blood. That means that if there is an illness in one area, it will eventually have an effect on others. But when there is wellness, it too is just as infectious. The goal, then, is to encourage the health of your oral cavity and let it spread throughout the rest of your body. Oral Hygiene – You definitely want to create and maintain a clean habitat inside your mouth, and it begins with excellent oral hygiene. This is executed by brushing and flossing your teeth at least twice a day to remove harmful bacteria and plaque. There are also several other tools at your disposal, including tongue scraping and mouthwash to aid in removing the agents of chaos. Eating Healthier – Many people only think of eating healthy at the start of the new year to lose weight, but it actually has major benefits for your oral hygiene. Healthy foods encourage the production of helpful enzymes in your saliva that protect the enamel of your teeth. Better food selections also discourage the growth of bacteria because they like junk items the most. Stress Reduction – Anything you can do to reduce stress will aid in your oral health because constant anxiety can lead to teeth grinding, which wears down your precious enamel. Semi-Annual Dental Visits – One of the pillars of excellent oral health is your semi-annual visit to your dentist for cleaning and examination. A form of defense against attacks, it allows your local expert to manage your wellness instead of chase illnesses. This visit also provides you with a thorough cleaning that clears away the harmful buildup of plaque and tartar. By making these simple corrections, you won’t have to wait on some miraculous event to happen to give you hope because you will be the catalyst of change, guaranteeing yourself excellent oral health in the new year. Reach out to your dentist today to schedule your first appointment and begin charting a path of wellness that will stay with you for the rest of your life! Dr. Natalie J. Ortiz received her Bachelor of Science degree in Biology from the University of Washington. She then went on to earn her Doctor of Dental Surgery degree from Creighton University School of Dentistry. Truly passionate about all forms of dentistry, Dr. Ortiz practices at Painted Skies Dental Center and can be reached for more information through her website.